3 Oct 2018 – In a joint collaboration between the Singapore Government, Hagar and other partner organisations, two resources have been produced to assist child witnesses and victims who have to attend court. 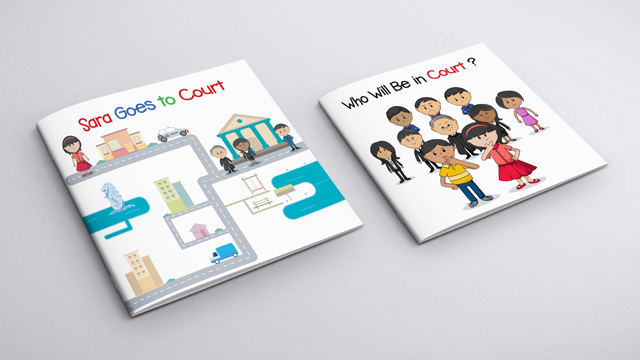 The two picture books for children are the first instalment of the Witness Orientation Toolkit which is targeted at assisting vulnerable witnesses, as well as the caregivers and supporters of such witnesses as they prepare to attend court. Vulnerable witnesses include children, persons with mental disabilities and victims of crimes. The picture books are modified from the original publications put together by Hagar International in conjunction with UNICEF, and have been adapted to suit the Singapore context. As part of the Singapore government’s initiative to aid vulnerable witnesses as they navigate the legal courts systems and criminal justice process, the Witness Orientation Toolkit will be made available to the public, those who will be attending court and their caregivers, and legal professionals who are assisting vulnerable witnesses. Organisations who have contributed to the development of the materials include the Singapore State Courts, Hagar Singapore, Community Justice Centre, and Centre for Pro Bono & Legal Education, Faculty of Law, National University of Singapore. Both picture books were introduced by the Honourable Chief Justice Sundaresh Menon at the Judiciary Volunteers Appreciation Dinner on 3 October 2018, and are available for viewing here. Print copies will be distributed to Primary Schools, the National Library and its branches and Family Service Centres. The next material slated for release in the first quarter of 2019 is a General Legal Toolkit, which intends to be a practical guide for caregivers and professionals who support vulnerable witnesses through the criminal justice process. Other publications are targeted to be released over the course of 2019 and this page will be updated as the materials are made available.